GTA Online Patch Fixes Online Character Creation, GameS..
Rockstar Games has announced that a new title update to address the reported issues of game progress loss in GTA Online as well as other technical fixes, tweaks and enhancements is now available for Xbox 360 and PS3. This title update will resolve the cause of players losing their gameplay progress except for some specific instances where players purchase a vehicle and the save does not occur due to a cloud save failure. A fix for that particular issue is being worked on and we will provide an update as soon as we know when this will be resolved. In the meantime, please always remember to save your game before leaving GTA Online, otherwise you may lose any progress since your last save – this can be done by exiting back to Single Player through the pause menu. 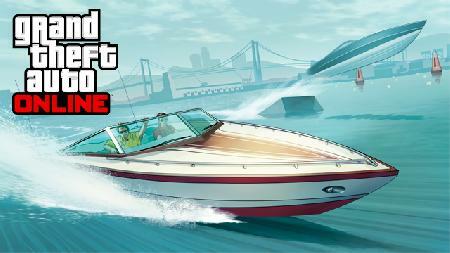 Until downloading the title update above and in order to minimize the chances of any further data loss, if at any point you receive the message “Rockstar Cloud Servers are unavailable”, please do not either select the "Retry" option or create a temporary Character to play GTA Online. Instead, you should exit to GTAV Story Mode and try entering GTA Online again through the menu in Story Mode. Please also stay tuned or subscribe to the GTA Online Status Updates article at the Rockstar Support site for the latest word on common known technical issues and fixes. For more information Grand Theft Auto V (GTA5) including exclusive Xbox 360 gameplay videos, screenshots, news and all of the latest info, please browse through all of 360-HQ's coverage. GTA Online Freemode Events Update Hits Xbox One, PS4 and..
Ubisoft Announces Assassin's Creed Syndicate for Xbox..
Xbox One Bundles Available for $349 in the U.S. This..
GTA Online: The Business Update Coming Next Week, Tuesday..
GTA Online “Beach Bum Update” Out Now on Xbox 360 and..
Grand Theft Auto Online: GTA$ Stimulus Package This Week..
Grand Theft Auto Online ''Beach Bum Pack'' Update from..
GTA Online Patch Fixes Online Character Creation,..
Grand Theft Auto Online Patch - Official Details from..
Grand Theft Auto Online (GTAV) How to Steal Military Jet..
Grand Theft Auto Online (GTAV Online) Official Details.. Exclusive Grand Theft Auto V Commercial Jumbo Jet..
Analyst Expecting Grand Theft Auto V (GTA 5) on Xbox One..
Grand Theft Auto V (GTA5) Cost $265 Million To Develop..
Grand Theft Auto 5 Official Story Trailer Hits the..
Sony apologizes to Rockstar over GTAV leak on PlayStation..
Rockstar Games' Grand Theft Auto V (GTA5) Online..
New Grand Theft Auto V (GTAV) screens, GTA Online details..
Grand Theft Auto V Trailer Shows Things You've Never Seen..
Grand Theft Auto 5 Worldwide Debut Trailer, Exclusive..